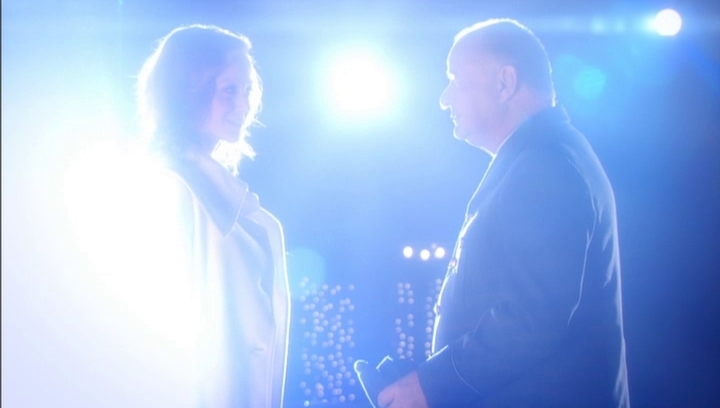 Carrie Blackford (Lindy Booth) is driving back to the city in her new BMW when she stops off at a petrol station, she meets a bus driver and they have a friendly chat about life and christmas, he warns her to be careful driving in the icey conditions and they say goodbye. Carrie loses control of her car and smashes into a concrete pillar and wakes in central park with the bus driver and she learns that he is an Angel and after her crash she has been given the opportunity to return and improve the life of a restaurant owner. 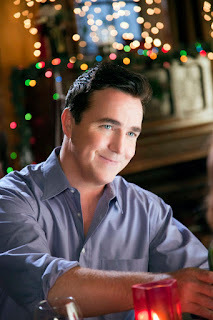 She agrees and meets Scott Walker (Paul McGillion) who owns a small restaurant which is close to failing, he is also a single parent of a young girl Abby (Kiara Glasco) and she gains his trust by offering her skills as an event planner to boost the marketing of his restaurant and she has until christmas eve to effect a change. Christmas Magic is distributed by Hallmark so you know what you are going to get but this movie is a very definite step above the usual seasonal fare, two very good performance from Lindy and Paul with Kiara really shining. The story while certainly not unique was done well which again is helped by the casting and I don't think there is really anything not to like, well except for the singing at the end which for one song really was overplayed and didn't even sound like Scott. For fans of Paul or Lindy this is the seasonal movie for you and it works if you are just looking for a family feel good movie for the holidays.